Passengers wait to for a train at Parson's Green Underground station after it reopened following an explosion on a rush hour train yesterday morning, in London, Britain, September 16, 2017. LONDON - A second man has been arrested by police investigating Friday’s bomb attack on a London underground train, police said. He was detained under Britain’s Terrorism Act and taken to a south London police station, the force added on Sunday. 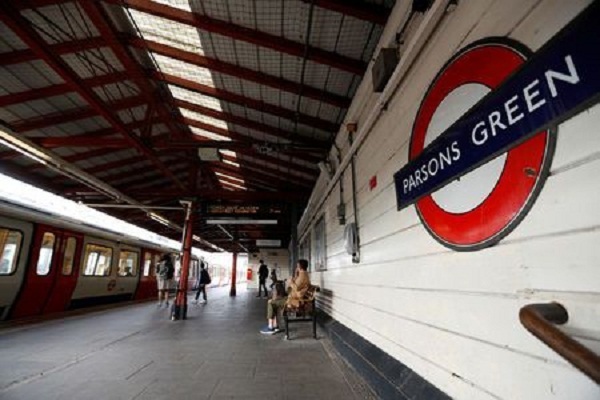 A second man has been arrested by police investigating Friday’s bomb attack on a London underground train, police said. The 21-year-old man was arrested in the west London suburb of Hounslow just before midnight on Saturday, the Metropolitan Police force said in a statement.